The city of Stockholm has designated a large parcel of land for data center development, offering the required power, connectivity and some interesting cooling options. The Stockholm Data Parks initiative was launched in cooperation with infrastructure companies Fortum Värme, Ellevio and Stokab. The first site, located in the suburb of Kista, will enable data center operators to sell their waste heat to the grid and buy cooling as a service. In the next three years, the scheme will be expanded to another three locations – Brista, Skarpnäck and Väsby. “With the significant synergies between recovered data center heat and the city’s environmental objective to become fossil fuel-free by 2040, I am determined to make Stockholm a major hub for sustainable data centers,” said Karin Wanngård, Mayor of Stockholm. The announcement follows the news that Sweden has cut tax on electricity used in data centers by 97 percent. Stockholm Data Parks was established to attract investment and promote the Swedish capital as one of the best places in the world to run a data center. As one of the long-term objectives, Stockholm aims to supply 10 percent of the city’s residential heating demand through recovered excess heat from data centers. The first site to be launched as part of this initiative is located in Kista and offers a mix of greenfield and brownfield sites available for sale or lease, with 10MW of total power capacity. Its tenants will be able to take advantage of recently lowered energy prices. 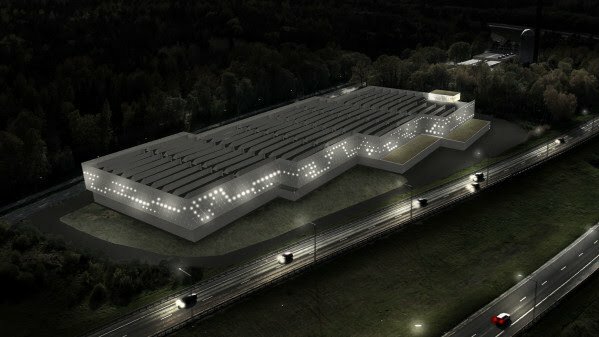 Tax cuts have reduced the total cost of electricity used by data centers in Sweden by approximately 40 percent, resulting in cheapest power in Europe - less than €0.04 per kilowatt-hour. It is also worth noting that just 2 percent of Swedish electricity is derived from fossil fuels – the rest is provided by hydroelectric dams, wind turbines and nuclear reactors. Making the proposition even more attractive is the option to get paid for waste server heat. According to Stockholm Data Parks, a data center load of 10 MW can heat close to 20,000 residential flats. Businesses that have already signed up for waste heat recovery in Stockholm include Interxion, IBM, Ericsson and Bahnhof. Waste heat reuse has a reputation for being complicated: it requires a considerable upfront investment and is only available in geographic locations already served by a district heating system. In order to simplify this approach, Stockholm Data Parks has proposed an innovative model: utility providers will offer cooling of the facility for free in exchange for the excess heat when the data center load reaches above 10 MW. In this model, operator of Stockholm’s district heating system Fortum Värme will pay for the heat pumps necessary to concentrate thermal energy – usually the most expensive component of a waste heat recapture system. Alternatively, data center operators can simply sell their waste heat to Fortum Värme and take care of the cooling themselves. “With a market of more than 80 million people within a roundtrip delay of 30 milliseconds, covering all major cities of Northern Europe, the Baltic states and western Russia, Stockholm is an ideal location for cloud players and other major data center actors,” said Göran Långsved, chairman of the board at Fortum Värme.